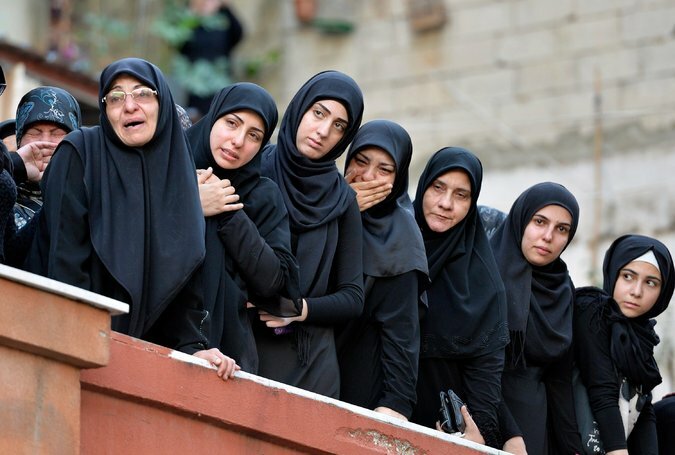 Beirut – Deadly Attacks Thursday Forgotten – Coercion Code – "Dark Times are upon us"
The relatives of one of the victims of the twin suicide attacks in Beirut mourned during a funeral procession in the city’s Burj al-Barajneh neighborhood. Three lost their lives in a double suicide attack in Beirut on Thursday, along with 40 others, and much like the scores who died a day later in Paris, they were killed at random, in a bustling urban area, while going about their normal evening business. Around the crime scenes in south Beirut and central Paris alike, a sense of shock and sadness lingered into the weekend, with cafes and markets quieter than usual. The consecutive rampages, both claimed by the Islamic State, inspired feelings of shared, even global vulnerability — especially in Lebanon, where many expressed shock that such chaos had reached France, a country they regarded as far safer than their own. But for some in Beirut, that solidarity was mixed with anguish over the fact that just one of the stricken cities — Paris — received a global outpouring of sympathy akin to the one lavished on the United States after the 9/11 attacks. Monuments around the world lit up in the colors of the French flag; presidential speeches touted the need to defend “shared values;” Facebook offered users a one-click option to overlay their profile pictures with the French tricolor, a service not offered for the Lebanese flag. On Friday the social media giant even activated Safety Check, a feature usually reserved for natural disasters that lets people alert loved ones that they are unhurt; they had not activated it the day before for Beirut. The implication, numerous Lebanese commentators complained, was that Arab lives mattered less. Either that, or that their country — relatively calm despite the war next door — was perceived as a place where carnage is the norm, an undifferentiated corner of a basket-case region. 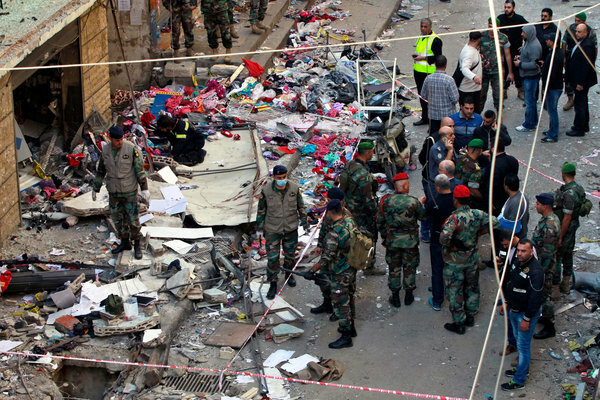 In fact, while Beirut was once synonymous with violence, when it went through a grinding civil war a generation ago, this was the deadliest suicide bombing to hit the city since that conflict ended in 1990. Lebanon has weathered waves of political assassinations, street skirmishes and wars; Israeli airstrikes leveled whole apartment blocks in 2006. But it had been a year of relative calm.